https://drive.google.com/file/...GMS promotes healthy beverage choices. Mobile Dentist forms have been sent home. Please return to school office by February 7, 2019. If you need another one sent home with your student, please call the office. Tomorrow is the last day for the middle school food drive! Remember to bring in your items. The homeroom bringing in the most receives a pizza party! The food drive is in full swing. Mr. Bennett's homeroom took a major lead today with 65 items donated for the food drive. Please bring in your non perishable items by Friday. Needed items for the NGCC are peanut butter, jelly and canned fruit. The winning class earns a pizza party! Thank you for your participation! Do you know JAG serves breakfast? Middle School Conferences are November 8th and November 13th. 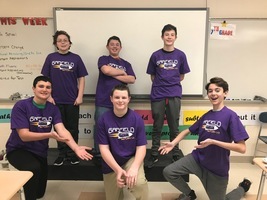 Sign ups are available by going to https://tinyurl.com/y8nnks5g or by calling Mrs. Schaefer in the office. The 8th graders will visit Maplewood Career Center tomorrow. They will be leaving at 11:00 and will return to the school by 2:30. Picture Retake Day is October 16th. Forms are in the office if needed. 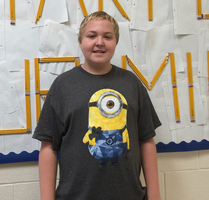 Congratulations to our September Citizens of the Month: Maria Haines and Jacob Reese. 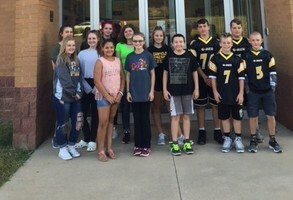 Congratulations to our September Students of the Month! 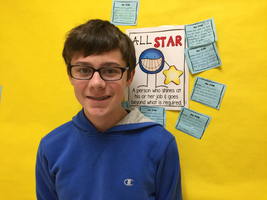 Dallas Chapman and Jen Wade earned the recognition in 7th grade. 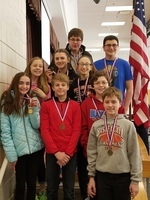 Eighth graders Hunter Andel and Katarina Crawley were also selected. 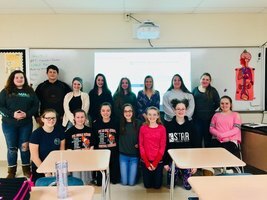 These students were chosen based on scholarship, citizenship, and attitude. They will be treated to breakfast for being selected. If your child is entering the 7th grade, they MUST have a TDAP immunization and the first dose of the meningococcal vaccine prior to the 1st day of 7th grade. Documentation can be sent into the office. Many thanks to Mrs.Morgan, teachers, and parent chaperones for a fantastic trip to Canada. 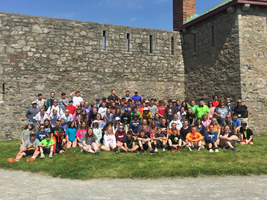 Students toured both sides if Niagara Falls and Old Fort Erie. Tomorrow is the 7th grade Community Service Day. Please remember to bring a lunch, wear old shoes/clothes and wear sunscreen. Please send in medication for Niagara Falls ASAP. Paperwork can be found online and can be turned into the office. 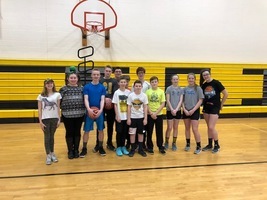 Volleyball Open Gyms for grades 9-12 (including incoming freshman) will be held at the Garrettsville YMCA on Mondays from 7:00PM-8:00PM starting Monday, May 7th. 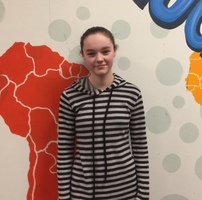 Congratulations to Rebecca Riebe, 7th grade, that placed First in the Regional Pen Ohio writing tournament. 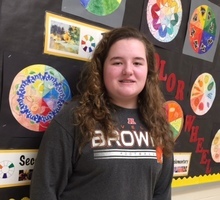 Katey Cisney, 8th grade placed 5th! Both girls have qualified to move on to the State Tournament in May! The 8th grade Science state test will be given on Wednesday, April 25th. This includes 7th graders that are taking the accelerated 8th grade Science class. Please be sure students are present and have chromebooks charged and ready to go. 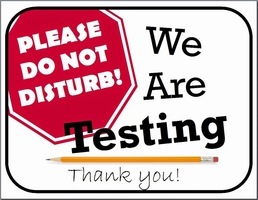 Middle School Testing will be Tuesday and Thursday next week. Please make sure students are present and chromebooks are fully charged. 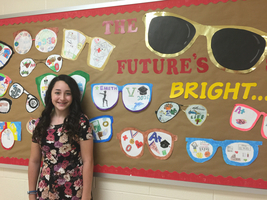 The 8th grade art classes have created a visual pun bulletin board. Can you identify any of these puns? Middle School Conferences are March 8th and March 13th. 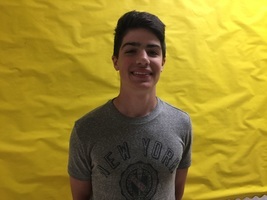 Conferences are being scheduled on sign up genius:https://tinyurl.com/yb3zeke7If you have questions,please call the office. 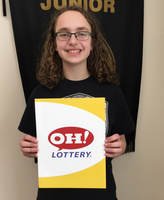 Congratulations to Isabella Folio for winning the Academic Allstate award from The Ohio Lottery! 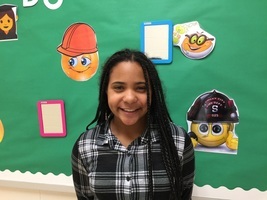 She was nominated by her Math teacher, Ms. Shafer for her outstanding work in and out of the classroom. 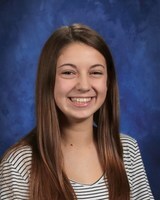 Ms. Shafer has nominated Emma Lunardi as our student spotlight for her consistent display of our JAG core values. 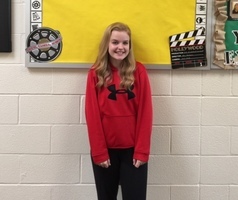 Emma enjoys running Cross Country and track. She thinks JAG is a great district because the people are so kind. She would like to be a doctor or surgeon as a career goal. She plans to attend college with a focus on Science and Math. 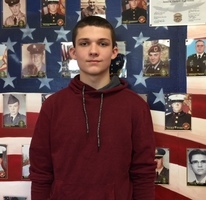 Congratulations to our January Citizens of the Month: Tommy Gushura and Alyssa Conkol. Great job! 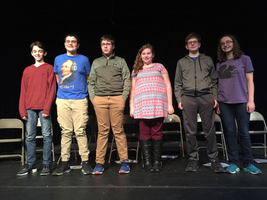 Thank you Dominic White and Isabella Folio for representing JAGMS at the spelling Bee. We are proud of you! 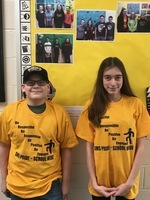 Congratulations to Daniel Ensinger and Sophia Cihan. 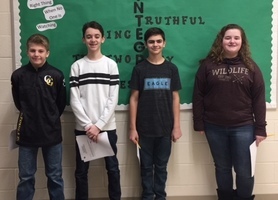 They are the Middle School Musicians of the Month! The Mobile Dentist will be at JAG schools on March 3rd. The Mobile Dentists/Smile Program brings on-site preventative dental care. Forms were sent home with your student. If you would like another, please call the office. Deadline is February 2, 2018. 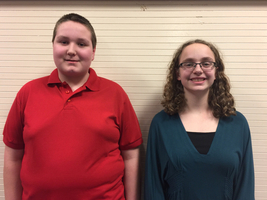 Congratulations to our Musicians of the Month for December: Cameron Edwards and Isabella Folio. Way to Go! 8th Grade Composite Picture Order forms went home on Thursday, January 11, 2018. Deadline for orders is February 9th. The MS Band Winter concert is Sunday, December 17th at 4:00 in the auditorium. Students need to report to the band room by 3:30. There is a Band Booster Meeting on January 8th in the band room at 7:30. All parents/guardians of band students grades 5-12 are invited to attend. Please join us! 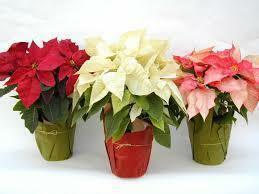 The MS Fundraiser pick up will be on Tuesday, November 14th from 2:00-6:00. If you are unable to pick up during these hours, please call the office. The Middle School Fall Athletic Awards Ceremony will be on Thursday, November 2nd at 5:00 in the commons. Congratulations to our students of the Month for September. 7th graders Madeline Shirkey and Maggie Shafer. 8th graders Jaiden Proctor and Isabella Folio. 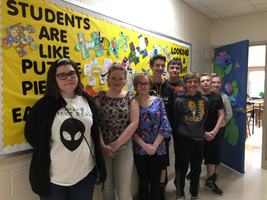 Students of the month are nominated by their teachers for their outstanding performance in academics and our core values. Congratulations to our Citizens of the Month for September, Kiersten Williams and Lauren Whan. 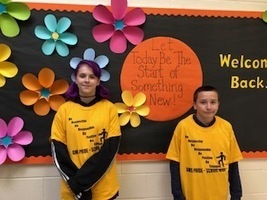 Both of these students have shown outstanding character in the areas of respect, responsibility, having a positive attitude, and being engaged in their classrooms. The James A. Garfield Middle School Student Council participated in the Homecoming Parade. They had a great time showing school spirit! The Middle School Principal Fundraiser packets were sent home last week. If you need additional order forms, contact the office. The deadline is October 12th. Checks should be payable to JAG Schools. If you have questions, please contact Chris Schaefer. 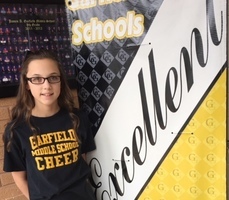 Congratulations to Isabella Folio for earning a perfect score on the state math test. 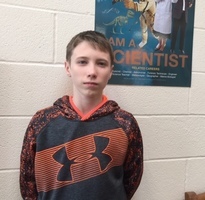 PJ Colbert is our first student spotlight this year. He has always loved space and would like to be an astronaut some day. His favorite activity in school is sustained silent reading. He feels that respect means the most to him as it makes us more kind. Thank you PJ for making James A. Garfield a great place to teach and learn! 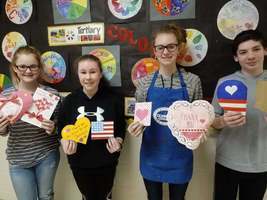 Students in Mrs. Gilmer's art classes took a look into their future.